This book will tell you want to look for in your search for a used Miata. This book will guide you through how to best modify your car to suit your needs, starting with an explanation on how everything works and how the various parts will interact. You'll not only learn what upgrades will help you reach your goals, but also how to adjust or modify what you have to make your car work at its best. 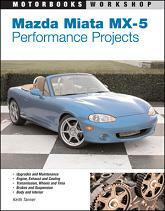 This book shows readers how to make the most of any Miata: what to look for in a used model and how to perform common maintenance and repairs, as well as over 15 projects to improve performance and appearance. Focusing on the engine, wheels and tires, suspension, body kits, interior, and more, the projects include full details on required parts, cost, time, tools, and skill necessary for completion. This book provides specific how-to instructions through approximately 35 projects that include both maintenance and modification procedures. Each project is treated separately, giving readers very specific information about the commitment in time, tools, money, and talent for each project. Road & comparison tests, new model reports, technical & performance data. Includes 128 pages of articles from Road and Track. Extremely hard to find! There are only a few left on the planet - and we have them. We imported them directly from the publisher (Brooklands Books) in the U.K. They are out of print - get one while we still have stock. Only a few left in print. This portfolio of articles from leading automotive magazines covers the MX-5, 1.6i, 1.8i & Sport, LS, Turbocharged, SP, SVT, Mazdaspeed, & Anniversary Edition from 1998 to 2005. Click for more info. 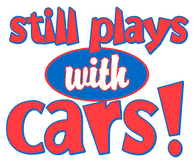 Available in 5 different colors, click the cartoon Miata image at left to order! Available in 6 colors, click the cartoon Miata image at left to order!